On June 9th, Breckenridge Ski Resort welcomed its first batch of guests to its brand-new, state-of-the-art theme park in the mountains – Epic Discovery! Breckenridge Epic Discovery is modeled after similar projects at Vail Mountain — home to the first collection of Vail Resorts-owned ropes courses and zip lines — but that doesn’t mean they’re all cut from the same cloth, according to resort officials. Each Epic Discovery hub is designed to include elements from the surrounding towns and U.S. National Forest land. When designing Epic Discovery at Breckenridge, Vail Resorts worked closely with the Breckenridge Heritage Alliance to talk about what makes the community so unique and what sets us apart from the others. In Breckenridge, that means local wildlife like deer and mountain goats, ecology (like the high-alpine wetlands of Cucumber Gulch), and the area’s long-storied mining history. This integrated concept also means summer operations are under the control of Mother Nature. With that being said, Breckenridge Epic Discovery hasn’t opened with all activities yet. Currently, 10 of the activities, including the alpine slide, alpine coaster, children’s zip lines and climbing walls, mini golf and bungee trampolines, all located at Peak 8 are open. 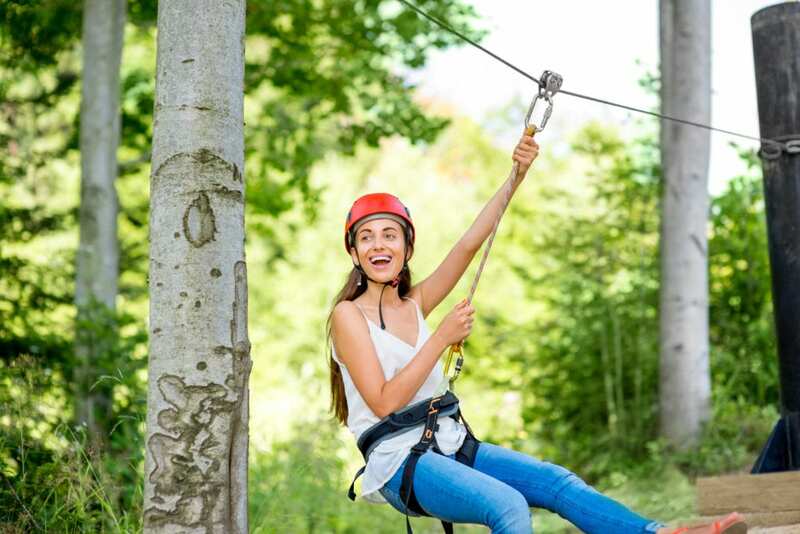 Officials expect to open the remaining activities, like mountaintop rock climbing and full-sized ropes courses, by early or mid-July when snow has melted. Epic Discovery will complement eco-discovery experiences with educational content across the mountain. Vail Resorts will utilize its new “One Percent for the Forest” program and will contribute one percent of all summer lift ticket and activity revenue to The Nature Conservancy, a leading nonprofit conservation organization. Funds are used for forest restoration projects on national forest lands.